As Catholics, we are required to go to Confession once a year, but why stop there? 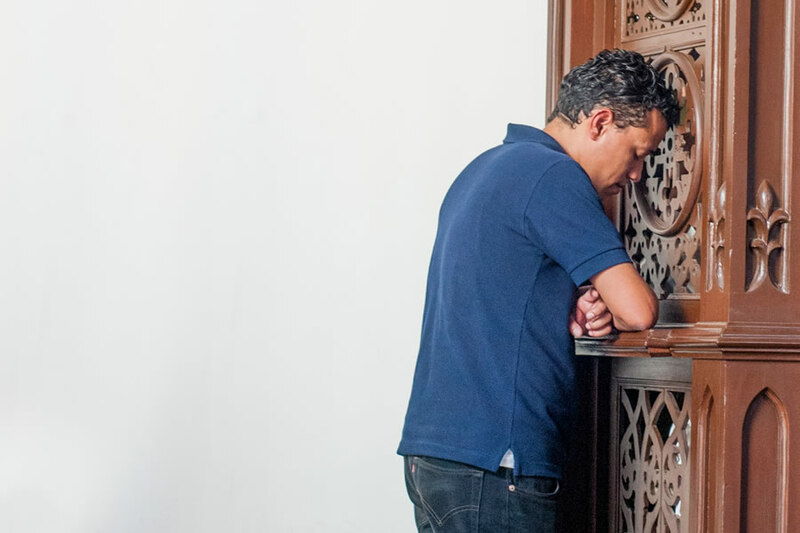 We know Confession can be daunting or difficult, and there might be many reasons why you don’t want to go. However, regular Confession, whether it be monthly, every two weeks,or weekly, doesn’t have to be scary. In fact, it is life changing and life giving! Here we share 11 amazing things that happen whenyou go to Confession more often. Regular Confession helps you recognize the little sins as well as the big, dramatic ones. You can see patterns, you can identify seams of weakness. You can pinpoint attitudes, not just actions, that are damaging. Rather than Confession being a once-a-year momentous shot of grace (which we still encourage! ), regular Confession truly allows you to dig deep and get to the root of longstanding habits of sin. When you are aware that you commit the same sins again and again, you become far more accepting of other people's failings. The annoying person in the office, the sibling you always argue with, the student you teach that winds you up. All become humanized again. You recognize you have your failings, they have theirs. Like you, they probably have a myriad of different and painful reasons as to why they behave as they do. You are no better than them. They are no better than you. I'm not suggesting that this one happens immediately, but I have noticed that an increase in regular Confession has helped me begin to find for some very painful wounds in my life. When we realize that we ourselves draw comfort and solace from Christ on the Cross, we realize that we don't get to decide who receives the mercy that comes from Jesus' sacrifice. When we really love Jesus, we would never wish His sacrifice to be in vain. We can therefore put the act of forgiveness over those we hate into His hands, setting ourselves free in the process. If possible, it is a really good habit to try and seek out a good priest who you can see regularly for Confession. This way he can get to know you and help you see patterns and attitudes over time. However, making the habit of regular Confession means that you're more likely to feel comfortable popping into a random church that you're passing, or joining the queue at a retreat or Catholic conference, and this way you can experience a wide range of different priests. All priests are different, and though the Sacrament of Confession will be absolutely the same each time, the advice, insight, intuition and penance will be different depending on who you see. This can be really interesting and helpful! Different priests will be able to pinpoint different things, and assure you of God's mercy in ways that you had never thought of before. Don't be afraid of an impromptu Confession with a different priest! Regular Confession is not intended to make you scrupulous. Rather, when you go to Confession and repeat the same sins again and again, you see that God's mercy is ever fresh, ever new, and always abundant. He is always patient with us. A priest once told me, "Don't worry about repeating the same sins again and again in Confession – be grateful that there are no new sins to add!" Confession helps us realize what our failings are, and that often, "if it weren't those particular sins, it would be something else." Knowing our sins is always a grace. When we know them, we can ask God to come in and triumph over them. We can b e patient, knowing that, in good time, God will heal our wounds.